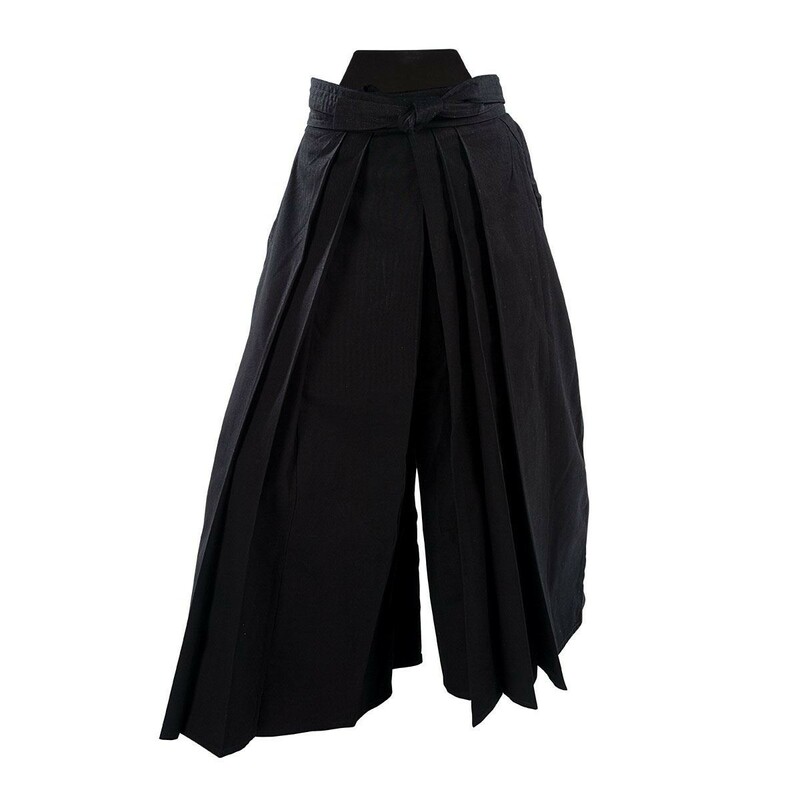 These traditional Hakama are constructed of 100% cotton that allows good air circulation and unrestricted movement. On the outside, the Hakama resembles a pleated skirt with five pleats in the front that represent the five virtues. 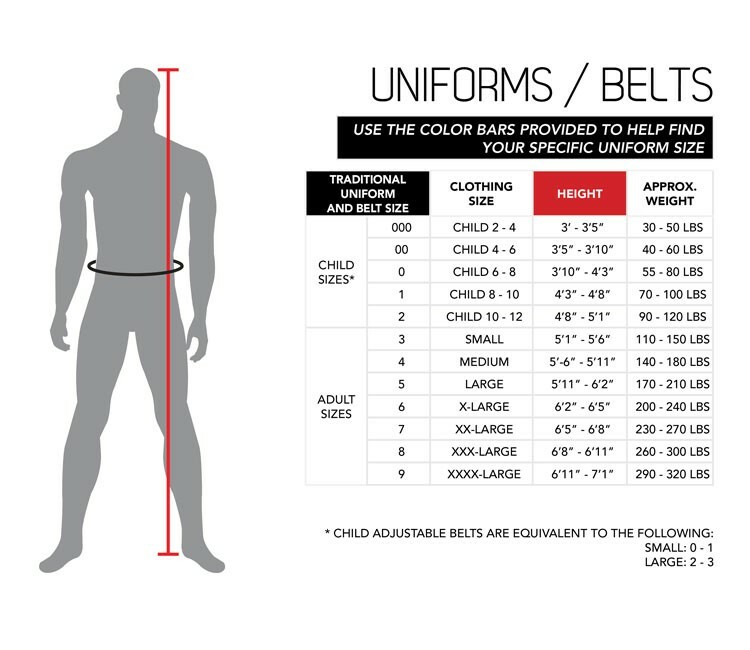 However, it actually has individual leg openings and features adjustable ties at the waist.